April: Is Earth Day Relevant? WELCOME & Sign Up Here! Welcome to the APLS Carnival! This is your home base for our once a month blog carnival, focusing on the issues of sustainability, green living and more. Here's how it'll work. 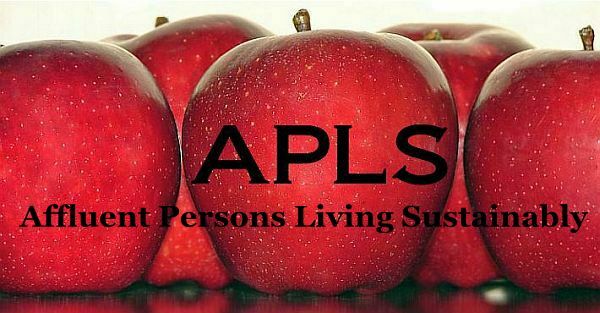 Whoever is hosting the blog carnival that month, gets to pick a topic of their choosing, so long as it relates to "APLS," that is, living sustainably in an affluent society. They'll announce the topic selection on or around the 15th of the prior month. (So if you're hosting for October, topic selection will be announced September 15th.) If you'd like to contribute to the carnival, you'll have about two weeks to put a post together on the chosen topic, and then you'll submit your topic to aplscarnival (at) gmail (dot) com. The carnival will then be published on the host's site around the 1st of the month. And that's it. Our goal is to keep this fairly simple, but fun.